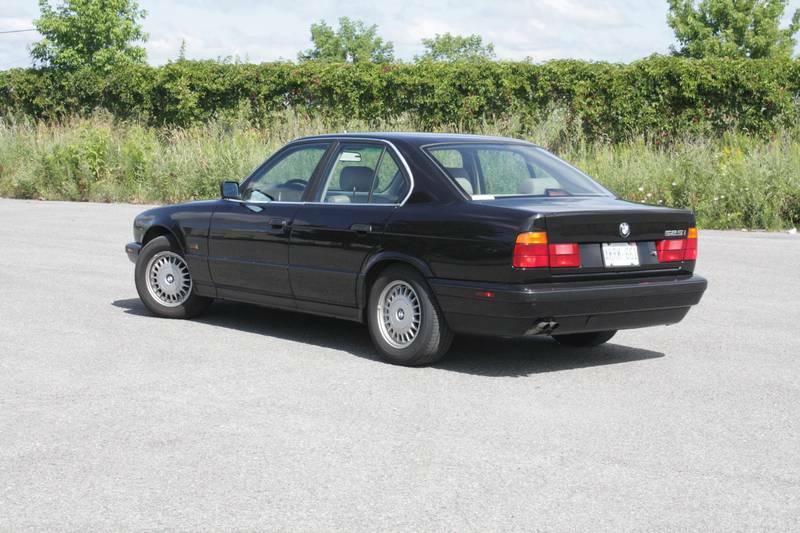 In 1997, my in-laws bought this car, a 1994 BMW 525i, second-hand. 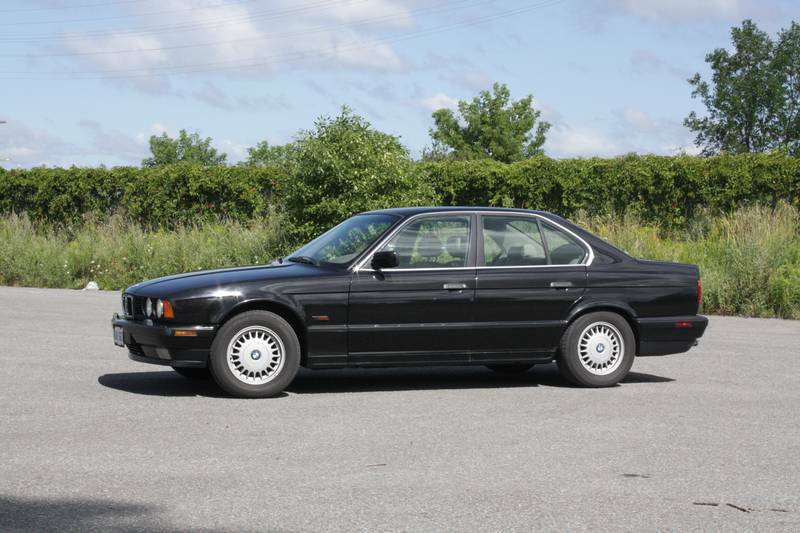 My father-in-law had debated getting the Touring (station wagon) model, but was turned off by the fact that BMW never sold it with a stickshift (or at least, they’re hard to find that way). BMW wagons are pretty swell, but its manual shifters are better, so I think it was a good trade-off. Shortly after buying the car, my in-laws had the car shipped overseas so they could drive it during a four-year stint in Switzerland. If this car was a person, I’d like to think it had never been so happy, on that country’s well-maintained highways. 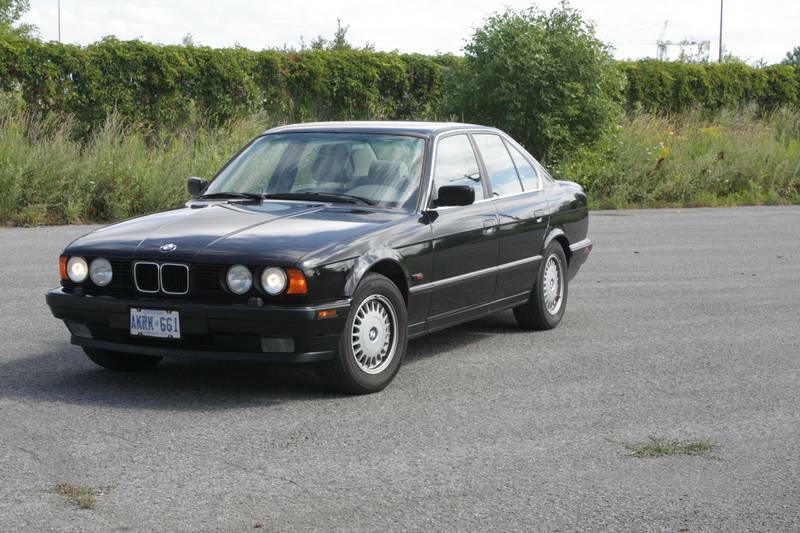 It’s probably never been quite that happy since, either, particularly having spent much of the last three years in storage, here in Ottawa, while its owners were living in South America. I’ve been the car’s official custodian during that time, though that job ends this fall, when they move home. 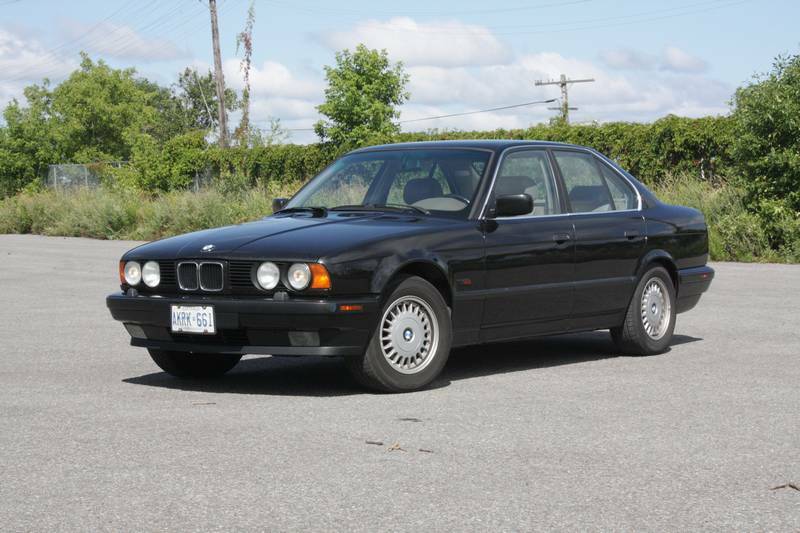 The car still looks good for a 17-year-old; it has 343,000-plus kilometres on the odometer. I expect they’ll keep it another long while; it’ll spend winters from here on stored in their garage. One of my favourite features is the front-hinged hood. My dad’s 1978 Civic had one, too, but they’re rare now. 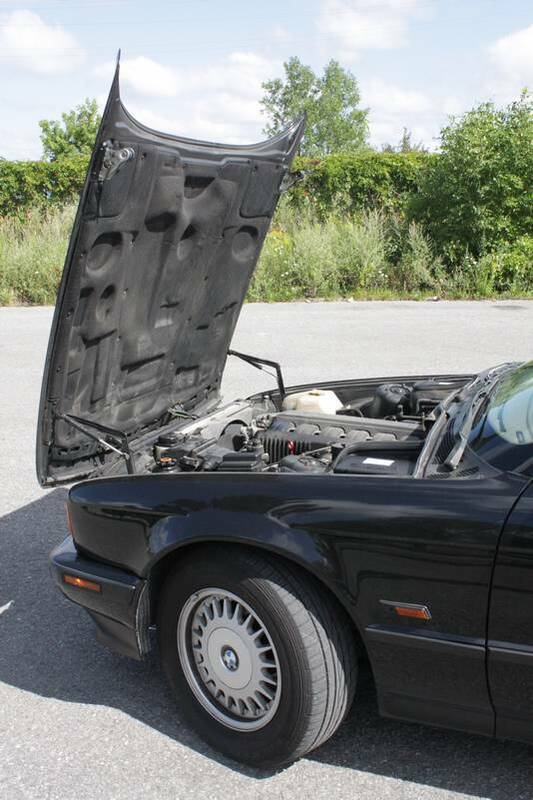 Under that hood is a 2.5-litre straight-six engine. By today’s standards, its 189 horsepower and 181 lb-ft of torque are pretty modest; most four-cylinder family cars have that much power, if not more. This certainly isn’t a fast car, but the motor is really nice to listen to when it’s working hard. The shifter in this car is showing its age, with lots of play, but it still shifts nicely. The clutch is a beautiful piece of machinery to use. You don’t see blocky dashboards like this much anymore; same for the huge expanse of blank surface around the shifter. You can bring a drink with you, but you have to hold onto it. Think new BMWs are stingy with cupholders? This one has NONE. On an unrelated note, I’ll take this car’s mechanical parking brake over the electric type BMW uses now. 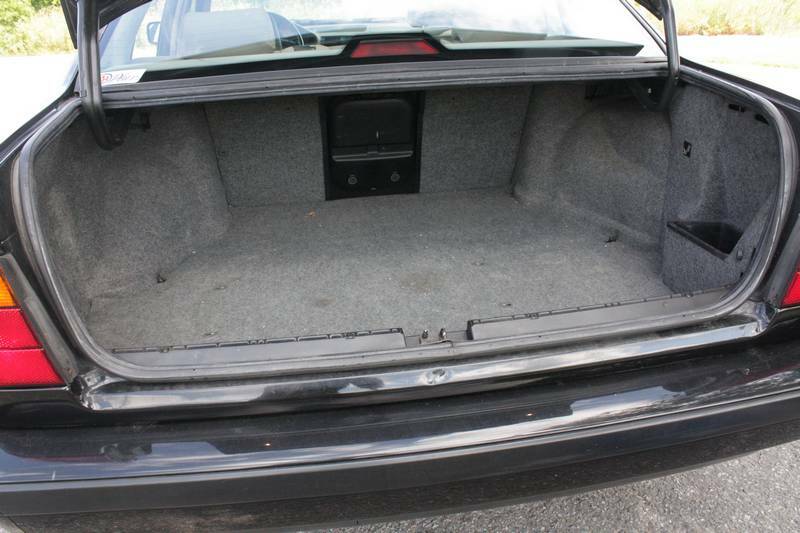 A fully-lined trunk is easy to take for granted in today’s economy cars; this one’s nice, but it’s not as deep as what you get in modern BMW sedans, and the back seats don’t fold. There’s a centre pass-through, though. Drive around in this car, and you’re surrounded by noises. There are creaks from every corner of the interior, and the worn leather squeaks as you slide around in the slippery seats. The soft ride is probably partly due to a well-worn suspension, but I think it’s more an indication that back then, a sporty car didn’t have to ride harshly. That’s different now, and I think it’s a mistake. I’ll take a softer-riding car that can corner any day. The only place for a hard suspension is the smooth asphalt of a racetrack; on city streets, a rough ride feels nothing but cheap, at least in a luxury car. 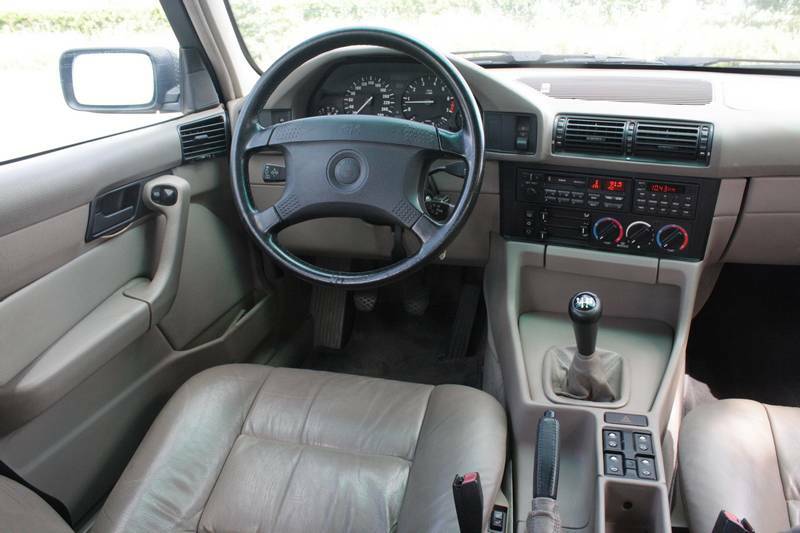 This car’s steering is a far cry from that in just about any car built in the last 10 years. The on-centre dead spot is so wide that it feels like something’s loose at the front wheels. That’s the way it was designed, though, in the days before the complicated variable-ratio steering systems BMW offers now. It’s off-putting at first, driving a car with a steering wheel that moves through about 10 degrees of rotation before doing much to change the car’s direction. Toss it into a hard corner, though, and the steering feel improves dramatically. I did that once, and I spend every drive in the car looking for more corners to toss it around. 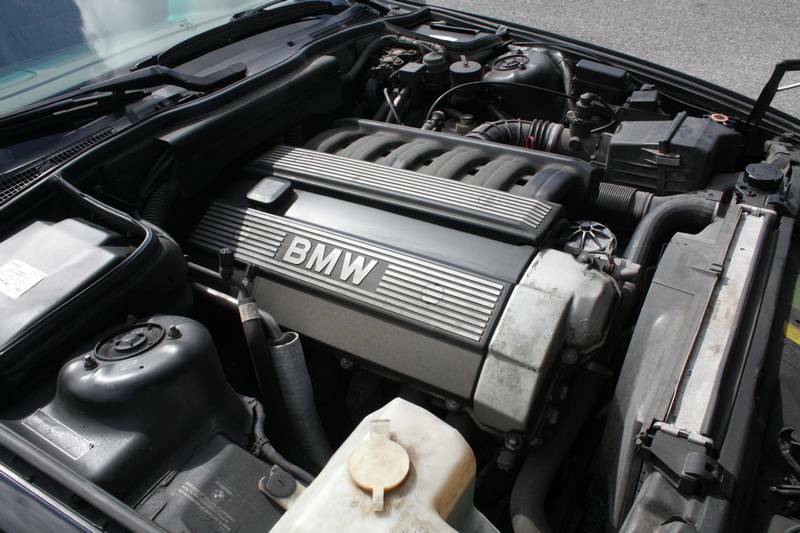 There are many things I like about new BMWs, but I still love the older ones more. It’s been fun getting to know this car.